Union Workers Answer to Two Systems of Government… Suckers! When will the average American Union worker wake up to the fact that they are working and funding two forms of government: One form of government in which “We the People” are represented and is the legitimate force – the republic of the United States of America… and the Oligarchy that is the Union system? Were both systems built upon the backs of “We the People“… YES! Do both systems gather funding while deducting from members paychecks… YES! But I ask you which system forces its members to wear colored shirts, get bussed to staged events, get instructions to attack verbally and physically, in conjunction with domineering socialistic organizations, other citizens and the republic of the United States of America? Seems to me that a uniformed army that follows all orders to attack citizens and officials of the United States of America is committing treason. 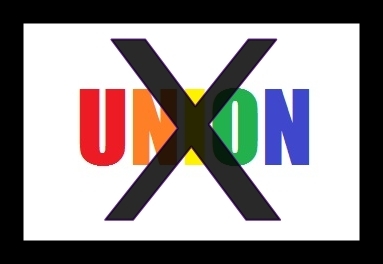 Bust a Union, Save America from Socialism! 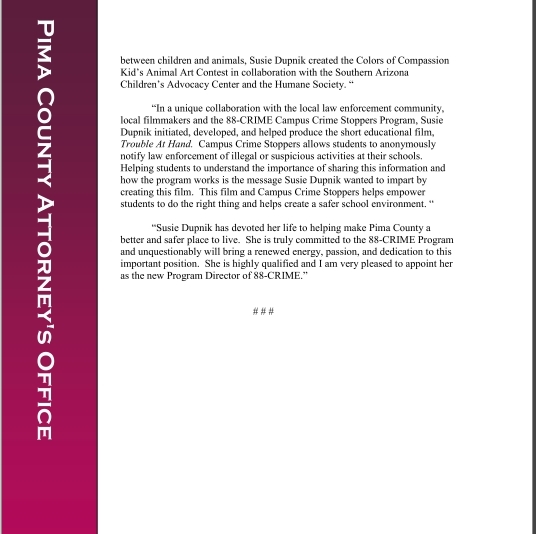 How Will Tucson Leadership Keep Personal Agenda Separate From Tragedy Investigation? Who missed the over the top Liberal performances of Sheriff Dupnik and his later smackdown? 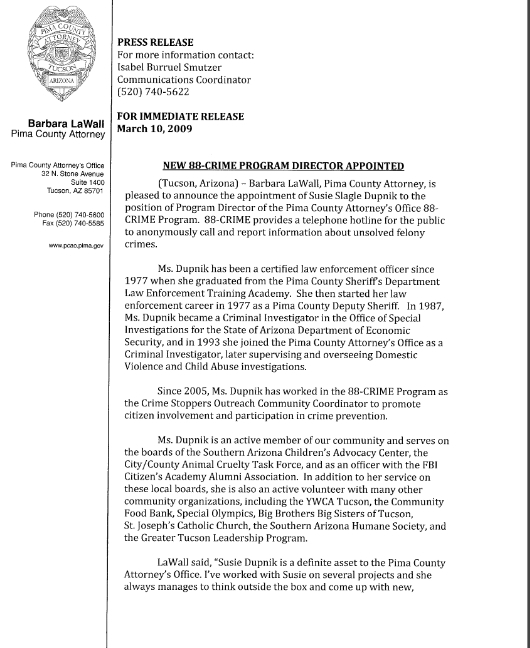 Interesting… 2 special job announcements in 2009 for Sheriff Dupnik’s Wife via Barbara LaWall’s Pima County Attorney Office, oh my she’s so truthful too. 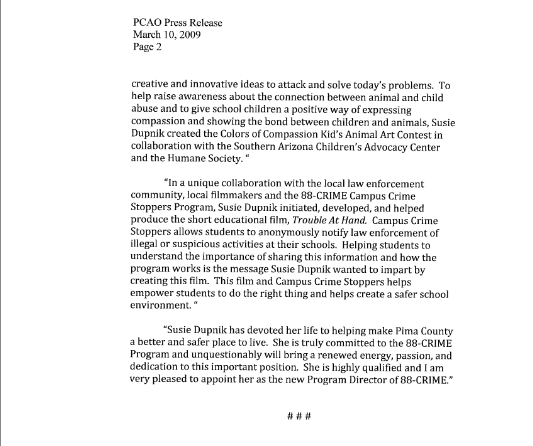 The Promoted Susie Slagle Dupnik… hmm? Surely there’s no special treatment or preference in city government offices. 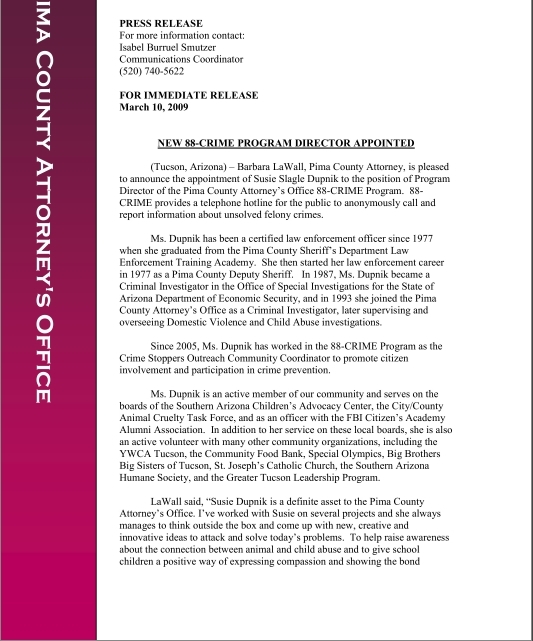 I wonder if anyone in Jared Lee Loughner’s family worked anywhere in the city government. hmm? Socialism Begins for Kyrgyzstan’s New Government – New World Order Test Dummy? Did you know that yesterday “Putin Blesses Kyrgyzstan’s New Government“. Did anyone see this coming? And the USA’s gasoline is predicted to go up? hmm? And they are portioning out food dollars to the tune of $ 6 million via the U.N.’s WFP Spends $6 Million in 2010, Supporting Kyrgyzstan Markets and Buying Food. And the US Embassies supply presents of computers? hmm? Interesting if you notice a progression of singular common events worldwide the result end game appears to be repeating itself. Citizens enslaved and a few elitists throwing scraps at them! Wake Up America! It’s knocking at the door, and the Bogus POTUS is ushering it in! Is this what you are waiting for? It happened to Kyrgyzstan! Is Election Fraud RICO? Prosecutable? Yes and Yes! Would Election Fraud be a case of RICO – US Code – Chapter 96: Racketeer influenced and corrupt organizations? Well, well, well……..Have we seen any of this? hmm? With Unions thrown in the mix, this could be one heck of an increase within the prison system, as it’s doubling down. Does anyone begin to doubt the election results from 2008? Why does it seem that voter fraud always reflects Democratic leanings? I say bring out the RICO, arrest the perpetrators, and begin Prosecuting Now! 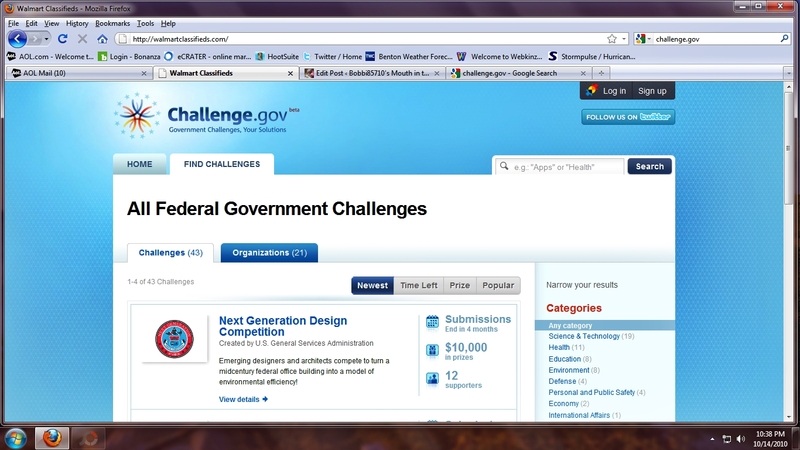 Challenge.gov is an official website of the U.S. government. in partnership with Challenge Post. So I click on the partner ChallengePost.com and open it up to see more contests including this one that just blows the mind Apps for Development Posted by the World Bank, Washington, DC. The World Bank is challenging the public to create innovative software applications that move us a step closer toward solving some of the world’s most pressing problems. Talk about backdooring and potential nepotism to friending awards, I’m just saying! All On The Taxpayers Backs, the government spending money but providing no jobs… again!